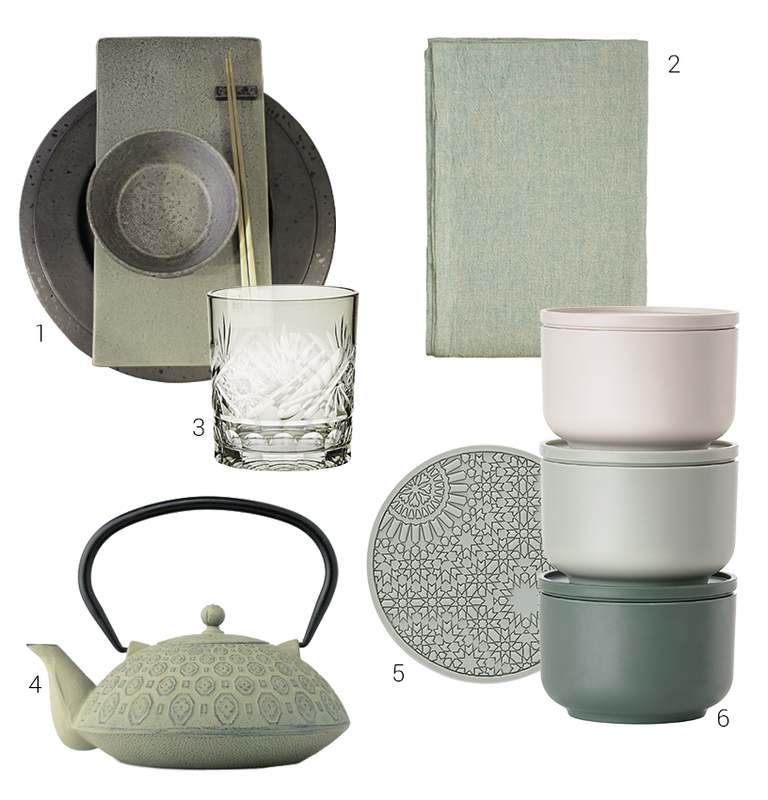 Ambiente Blog • The new neutral: sage décor. Sage is the colour of healing and serenity. It’s also a colour that will outlast passing fads, since it acts as both a neutral nuance and a colourful decorative feature. We’ve gathered the most harmonious colour combinations and the most ingenious ideas for using sage indoors. We’ve also got some exciting travel tips so you can see sage in its natural habitat. In the last few years, we have been living increasingly fast-paced lifestyles. We’re available online any time, any place: it’s hard to find time to retreat into a mindful moment. In response, interior design is now creating spaces which encourage a more peaceful way of living. Designers use a colour scheme to embody serenity, balance and subtle beauty. Sage is just one shade in this scheme which creates an immediate, mellow peacefulness. 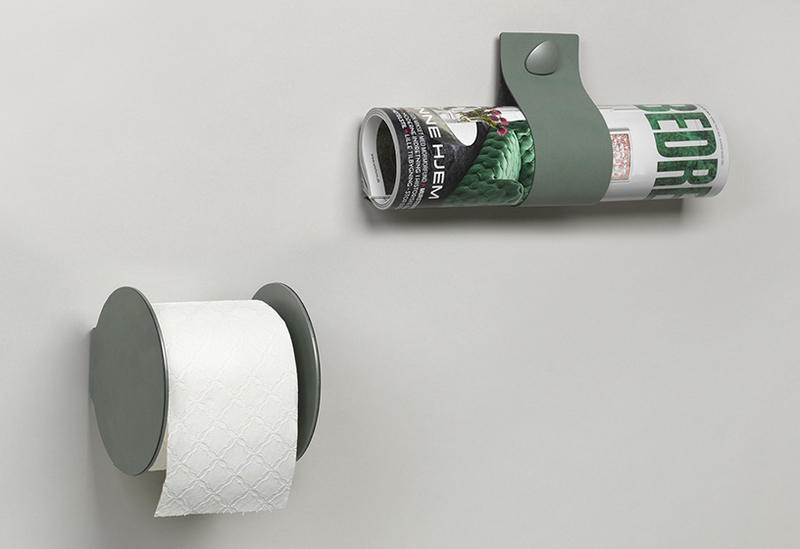 What’s so special about sage is that it stays neutral, while bringing a subtle colour to any space. Let’s look at the colour combinations that harmonise with sage and eye some ideas for using it in a variety of interiors. Since sage itself contains grey hues, adding it to the latest grey in-vogue interiors is the most obvious complementary colour combination. 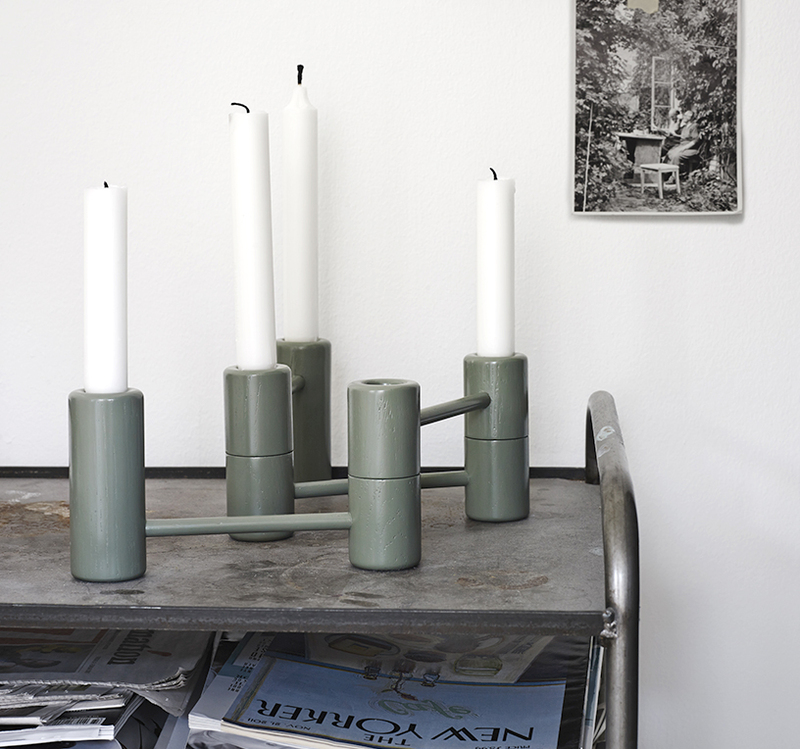 A grey or dark green wall can form the perfect backdrop for sage accessories. The cool side of this serene hue reaches its full potential when combined with contrasting warm materials like velvet. 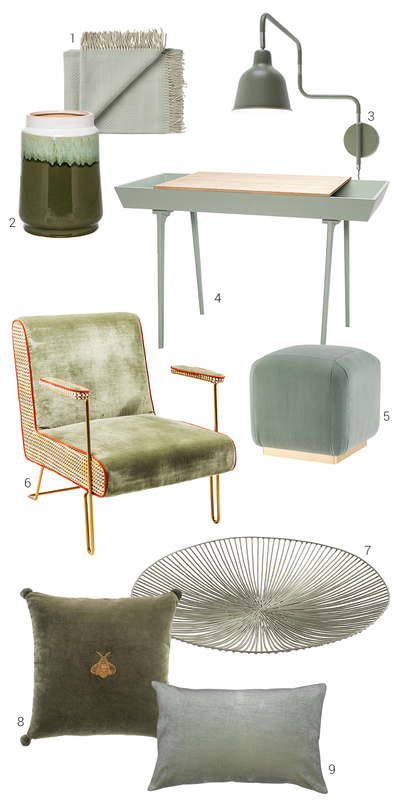 A sage velvet armchair, cushions and a pouf are the perfect key pieces to begin with. 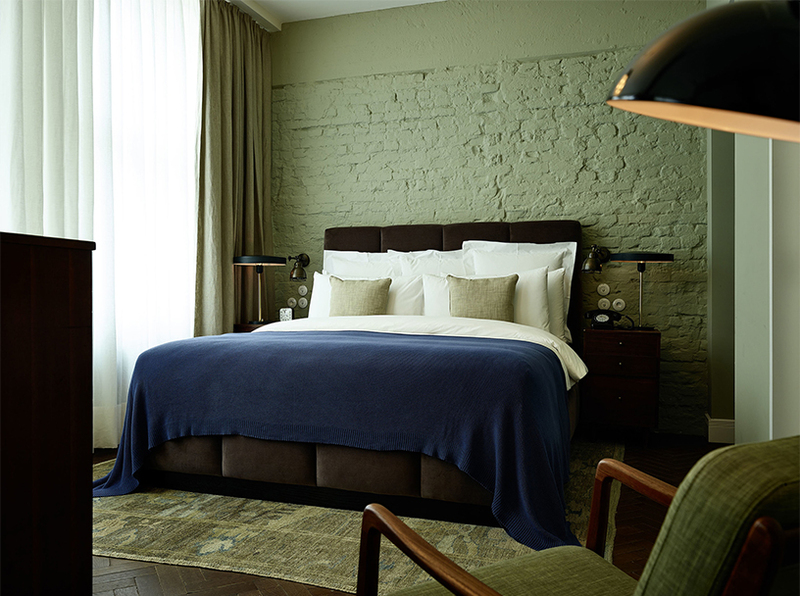 Materials such as ceramics, or natural fabrics like the woven rugs from Fabula Living or the bed linen from Georg Jensen Damask, can also provide a sense of warmth. 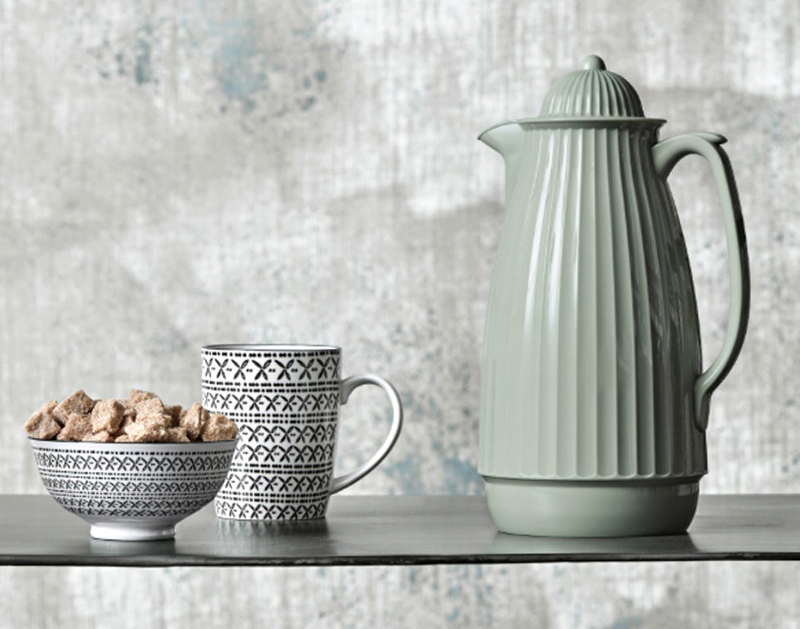 In the kitchen and dining areas, sage ceramics can be combined with taupe, grey and green glassware – and equally with other muted shades in rose, cream and blue-grey. 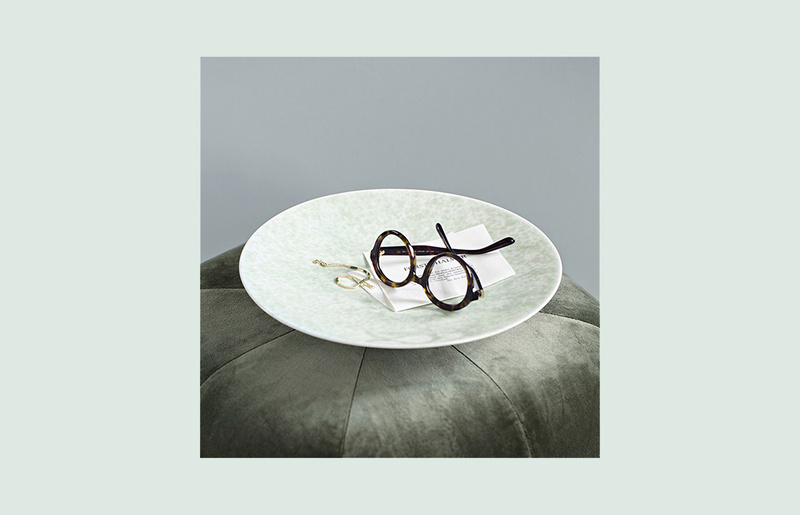 Natural wooden, concrete or ceramic elements, perhaps a kitchen counter or wooden table, cultivate a sense of wellbeing and complement the sage accessories. 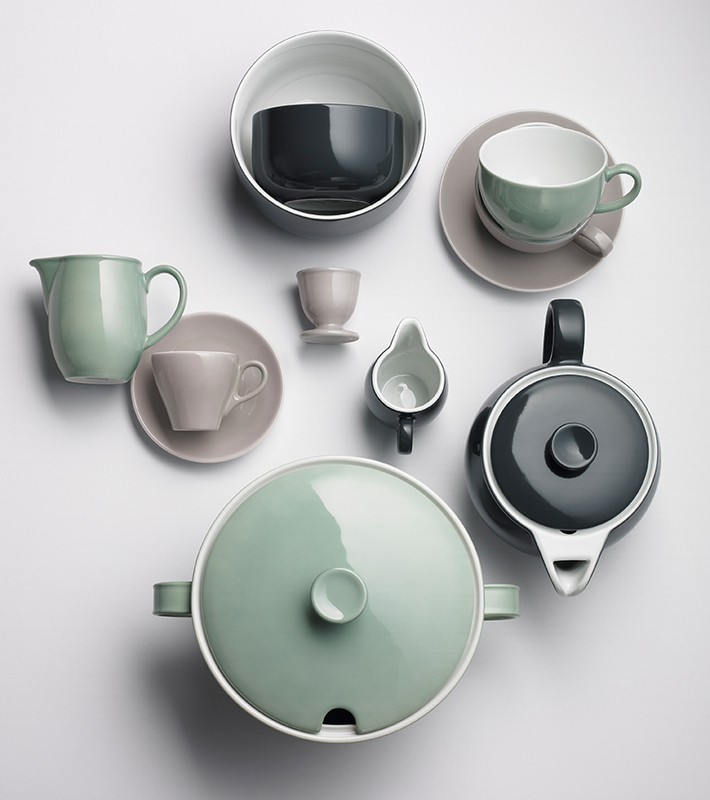 We love statement pieces in this colour code, like the tea pot from Bredemeijer. The bathroom is one key space where we love to spend a serene moment. 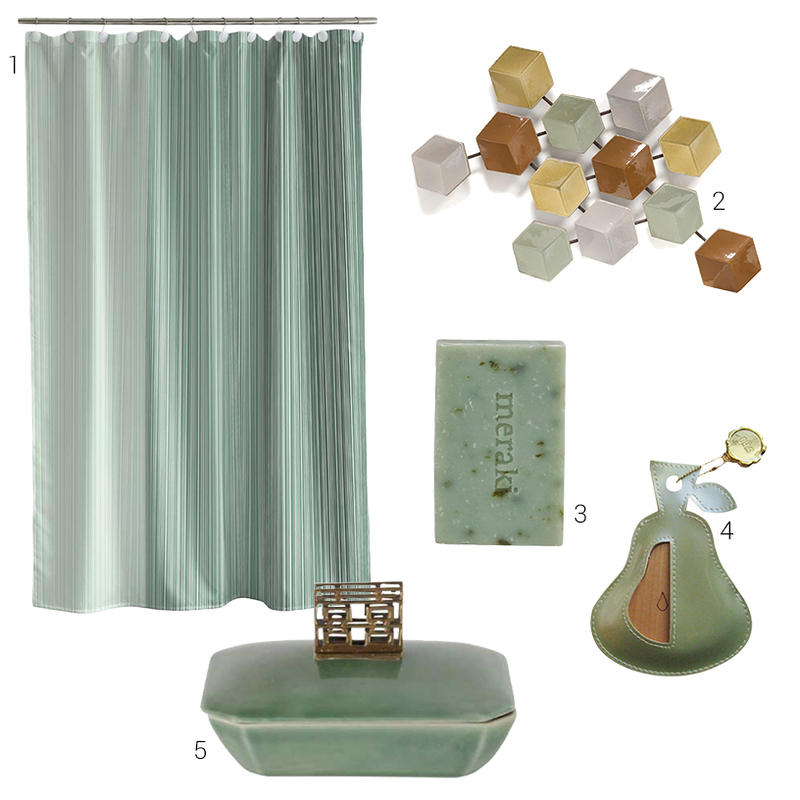 Whether it’s a shower curtain, a ceramic or bath accessory, or a hand soap like this lovely one from Meraki, sage accents around the room will set a relaxing spa-side tone. 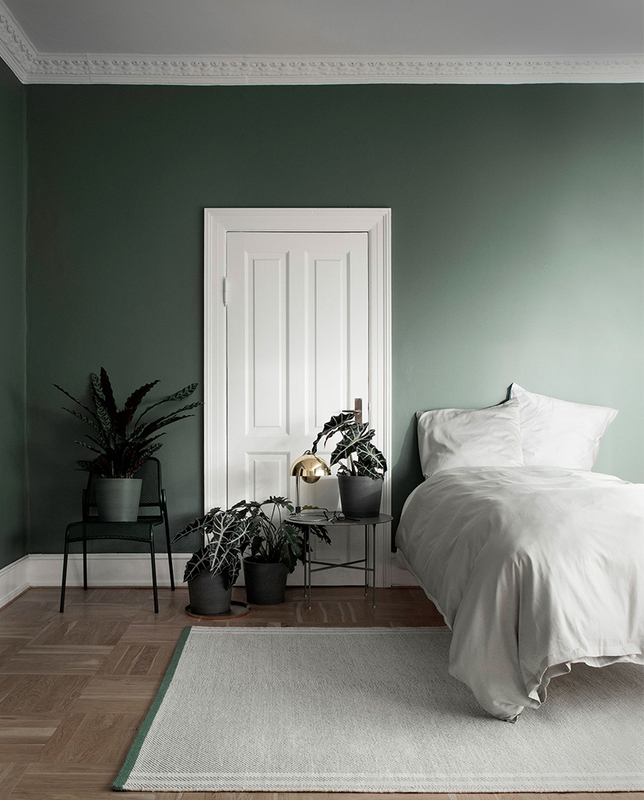 A simple interior tip for this colour code: how about a fresh sage plant pot with a bouquet of eucalyptus branches to accompany your other decorative objects? If you’re a true sage-seeker, you might want to find places where people are on your wavelength. How about these travel examples? 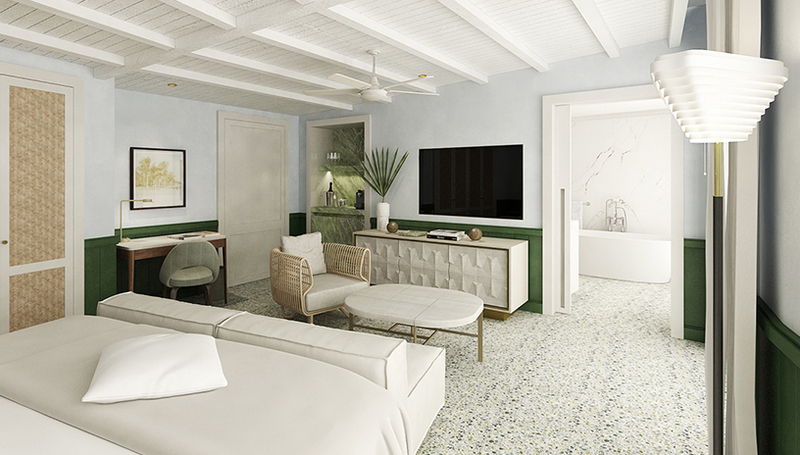 The interior concept here is based on a neutral beige and white colour palette. 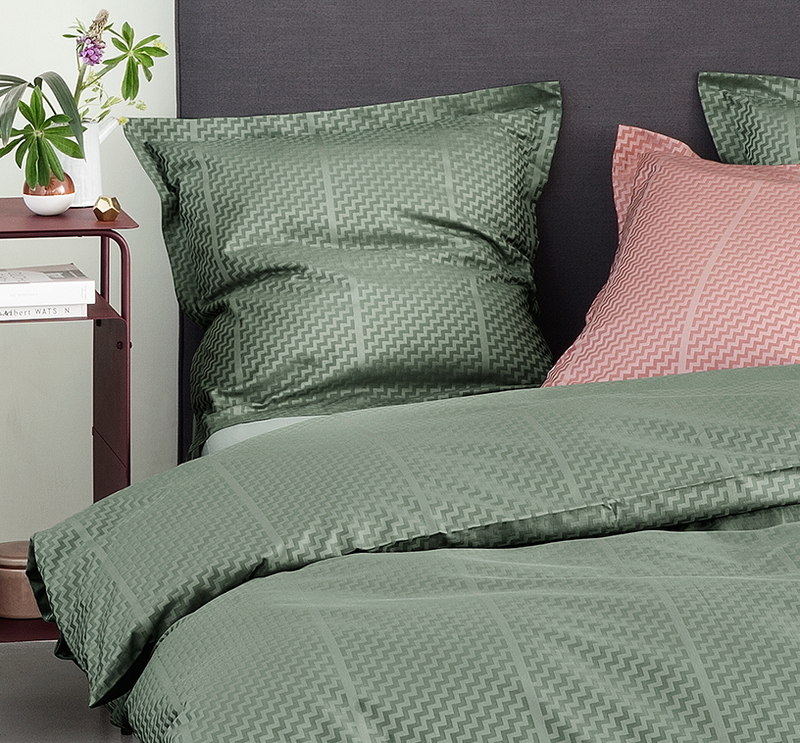 Sage hues are intricately interwoven into the textiles, and even the marble. 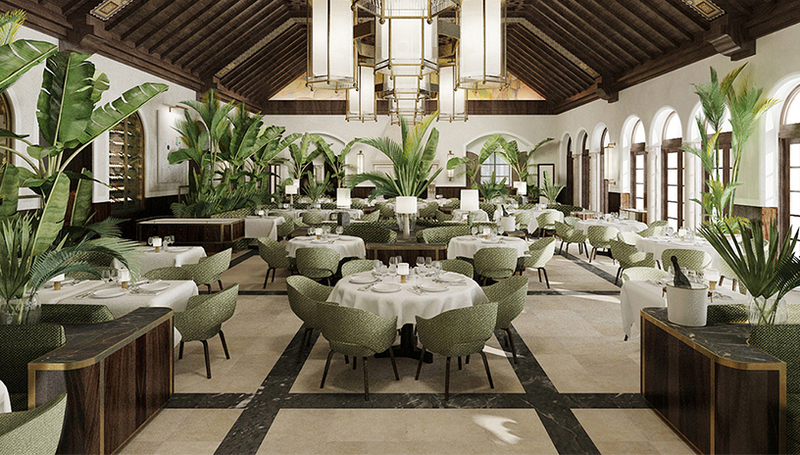 The hotel’s restaurant is a real highlight, featuring sage chairs among the white, wood and green. 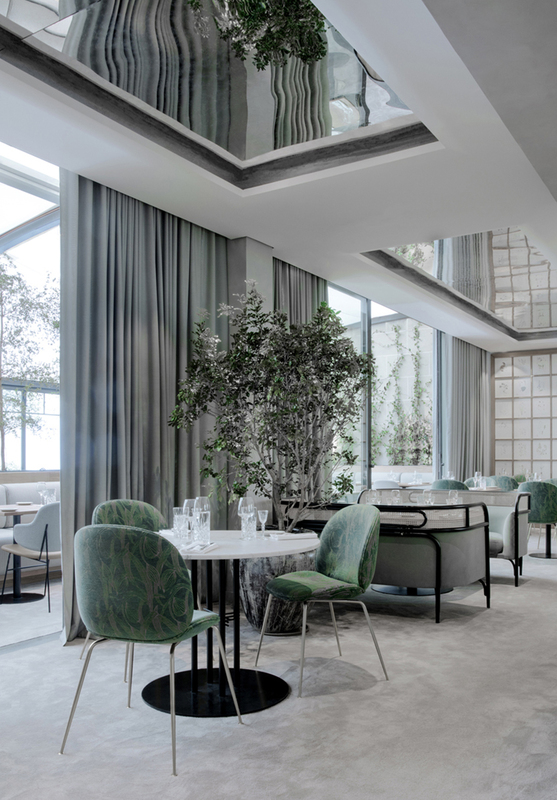 The interior of upscale Danish brasserie Flora Danica on the Champs-Elysées is a beautiful fusion of rich, sumptuous materials with sage, grey and green. This place is all about warmth and serenity. 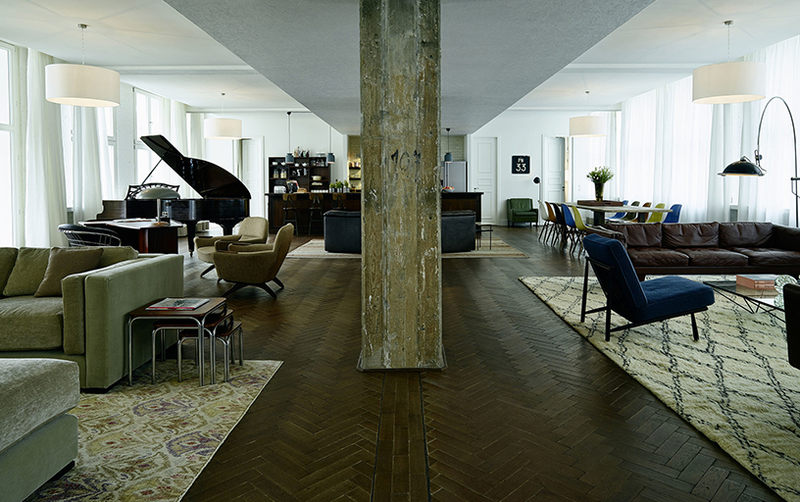 This is a members’ club and hotel that celebrates contrasting colours and materials and adds a twist of retro style. Just look at these beautiful deep blue velvet elements mixed with the sage green!